The 45+ year vacant lots on the 4600 block of Malden have an all new, all condo proposal. Gone are the curb cuts, townhomes, and rental components of the previous proposal. The new proposal features 5 condo buildings with a total of 45 3 bedroom/2 bath units. The beloved 30' Sheridan Park setback from the sidewalk is there as well as 44 parking spaces behind the building, all with alley access. The developer is requesting an upzone to add one story to bring the buildings to 4 stories with a basement. Magnolia-Malden Neighbors will review the proposal and give their feedback to Ald. Cappleman then the proposal will then go before the 46th Ward Zoning & Development Committee. Read the full proposal here and then join your neighbors for a community meeting June 12th from 6:00PM-8:00PM in the Truman College lobby, 1145 W. Wilson. The problem with this is that there isn't a shortage of condos now (many are empty), especially with the condo development projects on Clarendon and Wilson. There is however a shortage of market-rate apartments in the area, which are needed disproportionately. I understand this is all an attempt to "lift" Uptown up, but all it does is move out students and create big-empty codos in an arena already notorious for antisociality and snobbery. No one wants another Cabrini Green, but pop-up condos aren't going to cause people to flock to uptown either, regardless of the cherry picked nonsensical statistics. We should be analyzing what the community already needs (market rate rentals with licence property managers) and seek to meet those standards rather than looking to ignore the community and seeking to bring other people in. On top of that, "build it and they will come" is a misunderstanding of 'supply and demand'. We already have condos that have been sitting around for a decade, some with giant signs still mentioning their "reduced price" of a quarter of a million dollars. We should be seeking to accommodate students and retired people. This doesn't have to be a war between dingy SROs and Giant empty Condos. Most people in cities rent... at market rate. 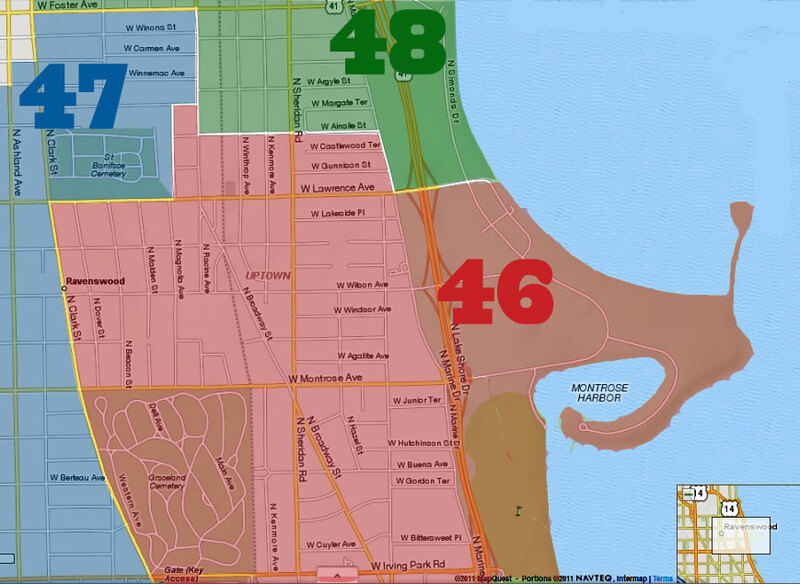 Just build more market rate rental units and pass an ordinance for the District to place special requirements for renting and property maintenance (pro-students, pro-retired, pro-management, anti-felony, non-subsidies). I like that Uptown has come a long way, but I do not think that the out-pricing 99.9% of Chicagoans can be maintained. Students don’t stick around for long...they move in from somewhere else, do their schooling, then they move on to somewhere else. 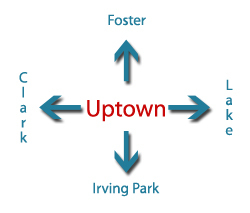 They’re not mostly from Uptown...they come to Uptown historically because of the cheap rents and good transit. And what’s this about “licensed property managers”? Never heard of any property manager licensing in Chicago, but it sure could help eliminate many of the slumlords that Uptown has spent decades trying to recover from (and is finally overcoming). Your post makes me think about the anti-condo Shilleristas’ arguments that condos would destroy Uptown and drive out the less fortunate. What they never seemed to understand is that diversity includes more than race, national origin, gender, religion, and sexual orientation—it includes economics, and no one is served by excluding the very poor OR the very rich. As a matter of fact, the community cannot support the wrap-around social services many activists insist must be provided UNLESS there’s revenue coming in to pay for them. Students and the elderly and the poor can’t pay for that themselves very easily, so you better get used to the idea that you NEED the taxes generated by expensive condos to pay for those services or else see them go away. It’s nice to be concerned about affordability and availability of housing, but one has to be realistic about how it gets paid for and not make the same mistakes that led to Uptown’s long decline to begin with. Can you share the locations of these empty condos in Uptown and where they have built new condos on "Wilson and Clarendon?" If you are referring to 811 Uptown at Montrose and Clarendon, those are rental. There have been little to no condos built in Uptown in recent years. Most everything announced or built has been rentals. and Community Networks. Only an imbecile would vote no on this. It will still have to get past a committee of armchair architects, emboldened by their 1:1 parking to housing win. I'm sure they will find something to bicker about. I love the idea of this but I wish they were building affordable 2 bed/ 2 bath condos. We are currently looking to buy and have found those to be a hot commodity all over the city. 2 bed/ 2 bath condos priced around 275,000 to 325,000 would be more attainable, especially in Uptown where the condos don't sell as high as other neighboring areas.